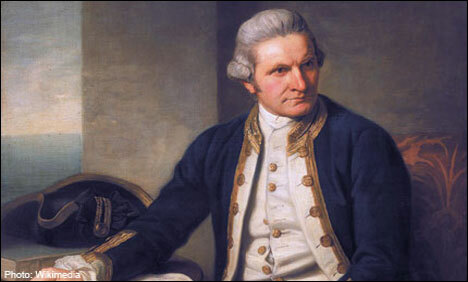 I think it might be best to begin this narrative with Captain James Cook. Hailing from dreary Yorkshire, England, in 1776 Cook was the first European explorer to reach Alaska, in search of a northwest passage from the Atlantic to the Pacific oceans by water. He was a gifted navigator, his charts and maps were incredibly accurate and are still used today – all the more impressive considering the instruments of the time .He was also the first European to discover New Zealand, Tahiti and Hawaii, which are just a few more of the places he and his crew reached, adding to his myth-like status. In learning about Cook, I couldn’t help but draw comparisons to he and his crew and our little band of musical troubadours. Of course their journey was much more strenuous, taxing, and dangerous .They were gone from their home for years at a time on a boat just over a hundred feet long, under conditions that pale in comparison to our own: without smart phones, GPS or tour publicity. They were unstoppable, that is of course until Cook was dismembered and grilled by natives on the shores of Kealakekua Bay in Hawaii on February 14, 1779. In a way it almost seems disrespectful to compare a group of musicians, much more concerned about not being able to find a proper cappuccino and Wifi than coming down with scurvy, to Cook and his men – but I still can’t help it, especially in recent weeks when we were pulling into Anchorage, Homer and Juneau Alaska, places all reached by Cook – and I couldn’t help feeling that we were somehow kindred spirits with Cook and his crew, on a quest for something more, something unsullied, something that would give us a feeling that we were actually doing something with our lives just by making it there. Reflecting on the days before his remarkable journey, when Cook operated a ferry on the North Sea, bringing passengers back and forth across the same route, bored, knowing that he simply had to see what else was out there. That part of his life reminds me of a kid in high school staring out the window, lost in a daydream of adventures that the world would hold if he could just get out of this classroom, his town, and out on the open sea. 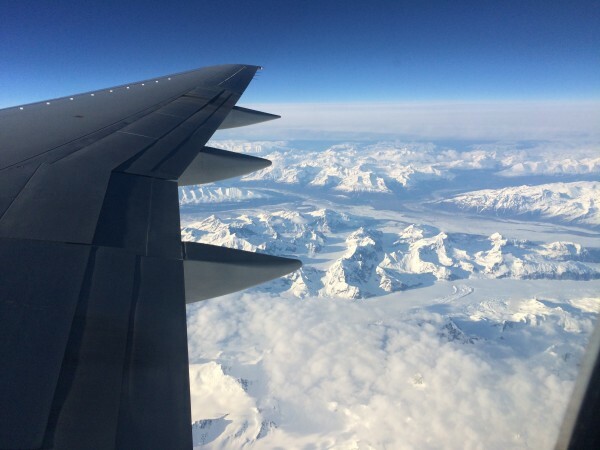 And so after all these highways, continents and miles, we reached Alaska – a place that has a tradition of people searching for something new and unknown. 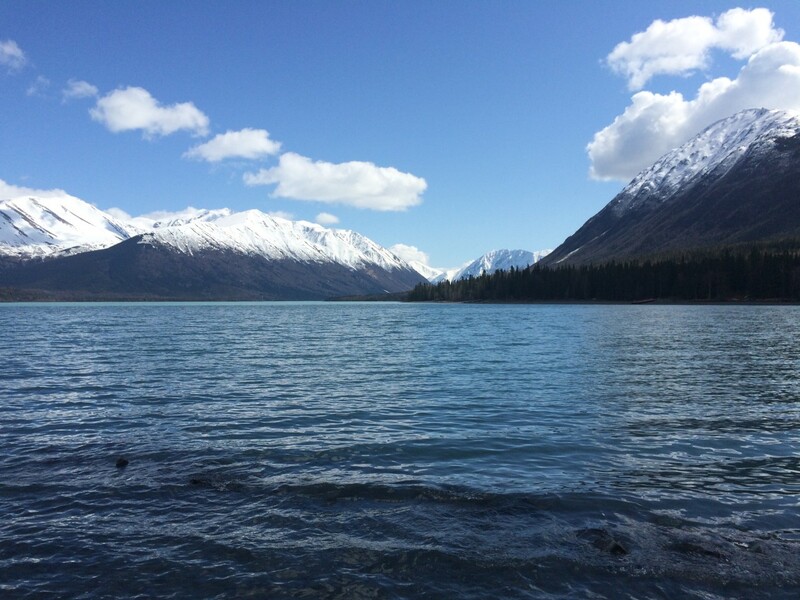 Alaska contains an undeniable feeling of adventure – dreams as big as those mountains, dreams of striking gold, taming the untamed, untarnished wilderness that seems to speak to the wanderlust within. This wanderlust was fed by an insatiable curiosity, Northern Exposure episodes, Jack London, The Call of The Wild, and of course, tales of Captain Cook. These things nourished dreams finally realized, as we followed in the footsteps of the bold adventurers that came before. Our journey to Alaska has been years coming, and in some ways written in the stars, filled with serendipity. As the narrative continues it brings us to yet another legendary journeyman, Ray Garrity. Ray was the first of the Alaska contingency to be infected with the Louisiana fever. For years Ray, while living in Alaska, had taught himself cajun accordion and fiddle from listening to Balfa Brothers and Nathan Abshire recordings .Before long, it became apparent that he would have to make the pilgrimage to the source of the sound that had so moved him. He would travel to Lafayette, Louisiana’s Festival Acadien et Creole, held in October. Ray was so moved by the experience, that although he would not return (Ray lost his life in a tragic four wheeler accident the following year) he inspired others to visit, including Bob-O, Knute Tonga and Eric Graves (The Silver Fox). Eric would become Alaska’s chief emissary. After checking out Fesival Acadien et Creole – Eric, Bob-O and Knute stayed a couple weeks longer for the Blackpot Festival, also held in Lafayette. Eric Graves wasted no time in setting up an Alaskan embassy, two doors down from the world famous Blue Moon Saloon and guest house on Convent street, in which further diplomatic ties could be established over Eric’s world renowned mojitos and tunes on the porch. 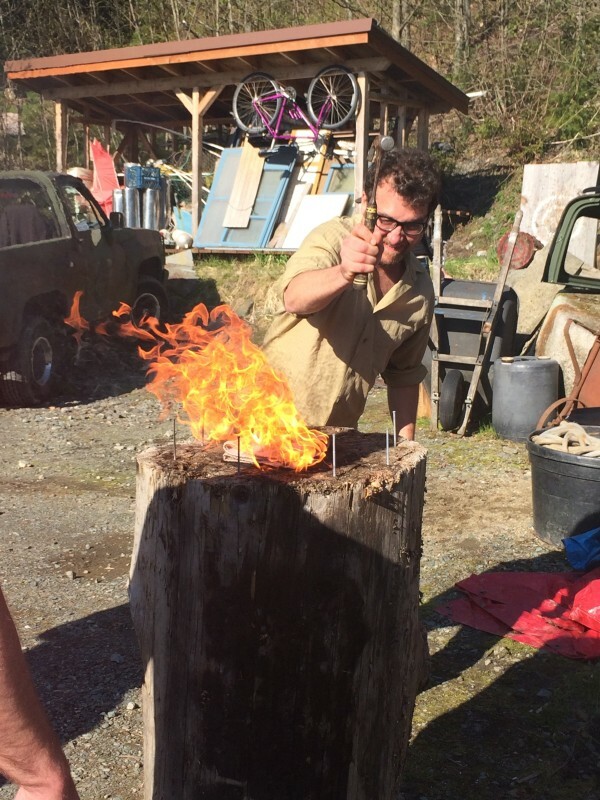 The next year, dozens more would return, this time carving out their own section of the Blackpot campgrounds – where the Alaskan flag flew proudly and the mojitos flowed freely. The Alaskan’s hospitable ways, combined with the Louisiana contingent marrying off one of its own sons (Curtis Norris) to a beautiful Alaskan girl (Nicole Lantz) – helped further normalize relations between the two regions. An unbreakable bond was formed – and with our own Curtis Norris, living in Alaska with his Alaskan Queen cooking moose gumbo – the alliance was further strengthened. 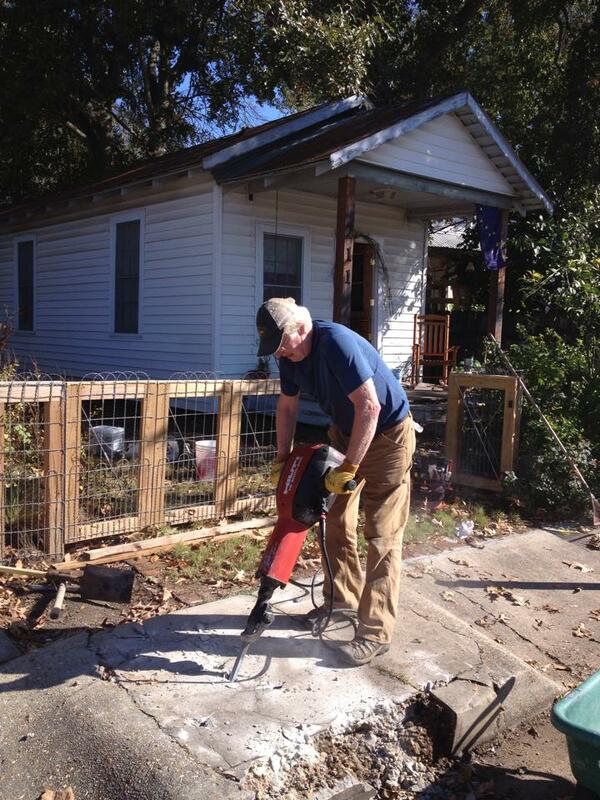 Curtis and Nicole have recently moved back to Lafayette, establishing a more permanent embassy in Acadiana. 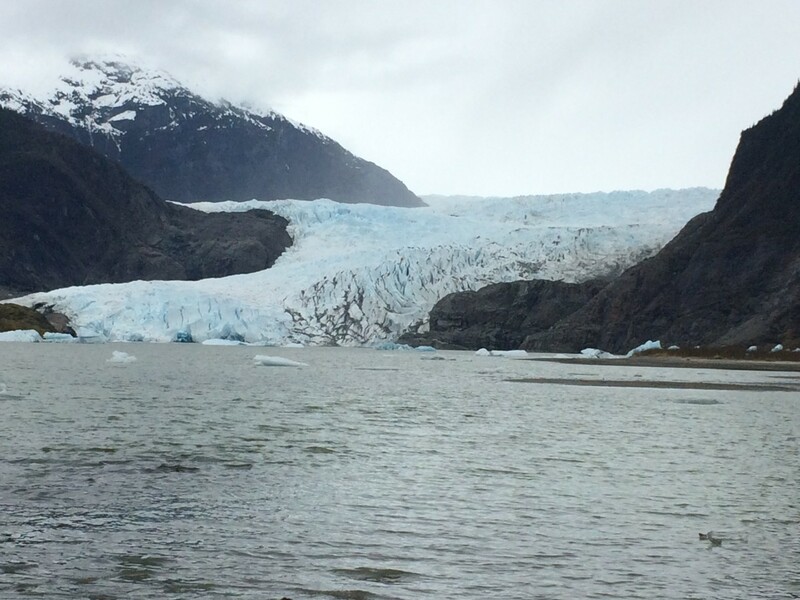 Eight years after the Alaskan’s maiden voyage, when it was time for the Revelers to visit – it became apparent that this was not your average tour. We were greeted at the airport in Anchorage by the one and only Eric Graves, there to take us to Conor McManamin’s for the feast that awaited us. The next night we prepared for a sold out show in Anchorage, and the anticipation was palpable. The band had never known such a welcome – the sold out house was worked up to a frenzy before The Revelers even played a single note. The house was truly rocking that night and the dance floor immediately came alive. Things didn’t let up when the Revelers got off stage, but continued as Todd Grebe and his band kept the party going and the dancers moving – with a few of The Revelers sitting in and jamming into the wee hours. The next morning it was off to Homer in what was easily the most breathtakingly beautiful drive we had ever experienced. The mountains met the sea to cast an image of grandeur that photographs could never fully capture. Eric Graves held the wheel as he regaled us with tales of explorers who took to those magnificent mountains in search of some place untrodden and unspoiled by man, making one recall the Jack London novels we devoured as children. Each Alaskan license plate bore the slogan “The Last Frontier.” On this leg we were also joined by the ever charming Sydney West, another Alaskan Queen we wish we could steal away. After a hundred miles or so past Anchorage, the vista settled down to something one could call normal. Eric raced through this part of the drive, anticipating the Homer Brewery and the crisp delicious pints that awaited us. When we came upon Homer, we were once again mesmerized by the snow capped mountains and crystal clear waters. Homer sits against this backdrop, a jewel among blue and white satin. 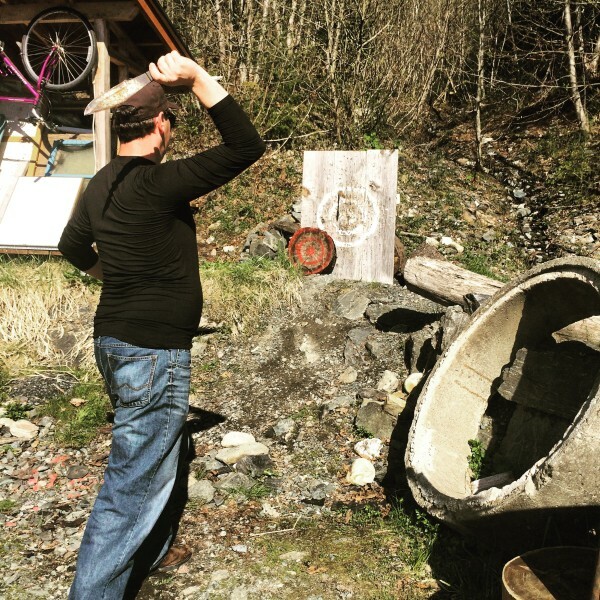 It was there that we met up with Knute (who you will be able to read about when his biography, “Don’t Get Me Started: The Rants, Ramblings And G Runs Of An Alaskan Curmudgeon,” is published). In Homer the audience was not quite in the frenzied state that we had witnessed in Anchorage, but enthusiastic and ready to dance nonetheless. The next morning it was off to Anchorage to catch a flight for Juneau, where we were set to play a concert, and more importantly meet up with Alaska’s premier Cajun band “The North Country Cajun Club” (they’re actually quite good) and the man responsible for getting us the gig that made this whole trip financially viable, the honorable Sergei V Morosan. We arrived at the airport without a minute to spare, catching our five o’clock P.M. flight. When we landed in Juneau, we dropped our bags at the hotel and then it was off to the bar to dance and jam with the North Country Cajun Club. We felt like we should come contribute and possibly help out by dancing and jamming. When we arrived we soon realized that they didn’t need our help, the dance floor and the band were rockin’. There’s something comforting about coming all that way to what could be the most brilliant place we’d ever been, and hearing some good ole Cajun music played by a real live band. You can’t help but feel welcome in just knowing that they were glad we made the trip. We were greeted by smiles and hugs, like family. They had been waiting for us, and the anticipation had been building for months now. 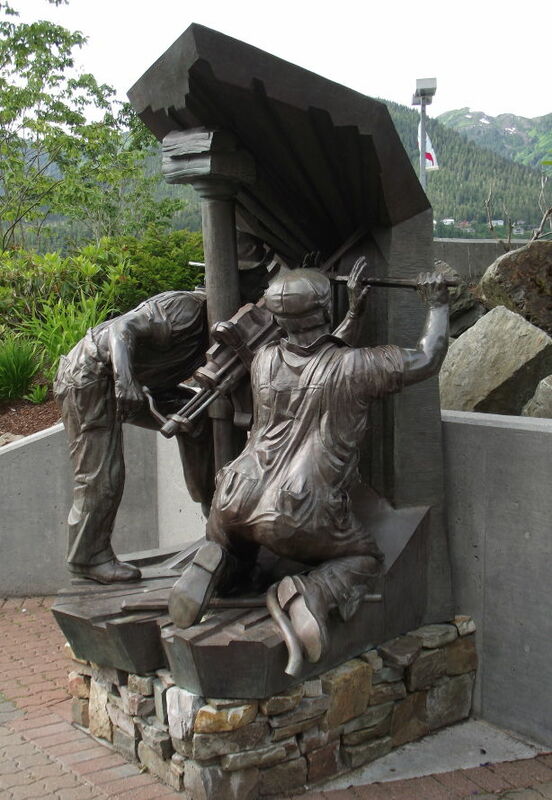 The next day I took a long walk around Juneau when I found a statue of two men digging for gold in the heart of a mountain. It was then that I had a realization that will stay with me for all of my days. It was a realization that the people who made their way here were in no way ordinary. The people who came here were looking for something unique – call them searchers if you will. Starting with natives who walked here from Asia across the land bridge made of ice – to Captain Cook and his men, who sailed into the bay, linking the great oceans – to the miners who came here, not merely looking for a place to farm and raise a simple family, but with an ambition to find fortune, gold and the very essence of adventure – big dreams, just making the quest made them more extraordinary. This was the place that had drawn The Revelers. These mountains set against clear waters is the context The Revelers now found themselves in. With bald eagles soaring above, another representation of freedom – what some have called The American Dream. I couldn’t help feeling that I had reached some kind of milestone: my own adventurous spirit that could never settle, never be content with a normal life, infected with a desire to see more, do more, be more. This spirit at times has felt like an albatross, preventing me from domestic comforts, a garden, a family with 1.5 cars and 2.5 children. The spirit of adventure that has kept me moving and hungry for experience had now brought me here to Juneau, to these mountains. The feeling that I was among kindred spirits washed over me like a Tsunami, leaving me full of emotion – and for at least a moment content in knowing that all this searching had been well worth the price, not a waste of time. I live for these sorts of moments. We played our concert that night to another lovely audience of both dancers and listeners, and afterword we hit the town once again – this time making plans for a party the following day that would involve cooking, music and games such as croquet, shuffleboard, and (my favorite) stump. The next day we had a full agenda. First order of business was to head to the grocery store and pick up supplies for my favorite thing to cook: étoufeé. Sergei had already procured prawns, plus he had some shells with which to make a stock. Our new pal Maridon (from the North Country Cajun Club) and I got the veggies and headed over to Mark and Ridgeway’s house for what would become one of the best little gatherings I could remember. We had a cook-stove outside, and on it we had a pork roast and an étouffée going pretty much all day. There was a table beside us, upon which was crowded with smoked fish, crackers and other snacks. When I wasn’t stirring or nibbling, I was either playing games, throwing knives or playing tunes. After we’d been playing tunes for a couple of hours, Maridon revealed to me that she had Ray Garrity’s fiddle in her possession. The Revelers wouldn’t be here if it had not been for this man, who years before had taken the trek to Louisiana and started the chain of events that would bring us here today. There I was holding Ray’s fiddle in my hand on the first day of nice weather in months, with all our new and old best friends – everything perfectly in place on the last day of our Alaskan experience. The tune that seemed most appropriate for the moment to be played on Ray’s fiddle was “The Happy One-Step,” a Cajun tune that is the sound of pure joy. After the Happy One-Step it was soon time to move things inside, as the sun was going down and it was time to serve dinner – all of it laid out on a banquet spread in the dining room. Everyone ate to contentment, and soon afterwards the table and other furniture were moved for dancing, once again the instruments came out and the party indoors was in full swing. As we reveled with all the gang, the Juneau Mardi Gras Queen, April Rebert, informed me that she had something to give to Blake – a gift for him to take home. Then she proceeded to pull out a large sword. I couldn’t help but wonder while I was sitting there what Blake would do with such a sword or how he would get it home, much less onto an airplane. After watching so many Game of Thrones episodes I even wondered if one of us would be beheaded, our severed head being the gift for Blake. Hopefully it would be Chris or Eric instead of me. The gift was actually not one of our heads, nor was it the sword, but a small princess statue that would fit easily in his carry-on bag. I was quite relieved I must say. Then she announced that, as Queen of the Juneau Mardi Gras, it was in her power that Blake should be knighted. Blake bowed before the queen and the sword was placed on each shoulder in a ceremony of pomp and circumstance.”Sir Blake, Sir Blake! !,” we shouted, as we considered changing The Revelers’ name to “Blake Miller and his Squires”. The next morning it was back on an airplane for the next leg of our tour of the Pacific Northwest, but nothing will ever really compare to the first time The Revelers came home to Alaska. Nothing will ever really compare to the welcome we received, to the feeling we had as we gazed upon those snow capped peaks knowing that we had followed in the footsteps of legendary explorers – from James Cook and his journeyman, to those searching for gold and the fulfillment of all their dreams on this, the last frontier. We were reunited with old friends and made new friends that we will see again up there in Alaska or down in Louisiana – with an Alaskan flag serving as a beacon to guide us home on the campground at the Blackpot Festival in October. 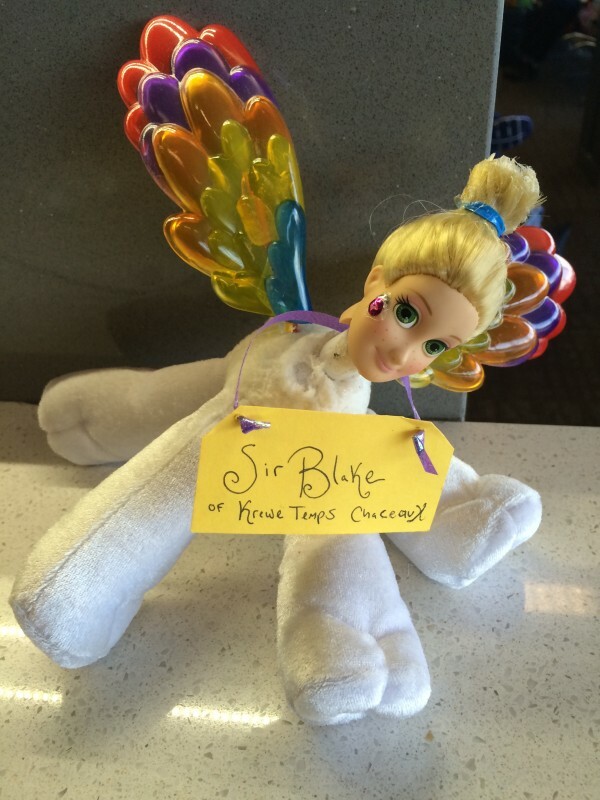 Blake became Sir Blake, and now one of our very own has an official title. Of all the tunes we played in our trip, the most significant was a version of Happy One-Step, played slightly out of tune (it was me playing it after all) on Ray’s fiddle, the person who made this whole story happen, which serves to remind us of why we seek adventure and joy in this wonderful world.